This is a Complete Victor Reinz GERMAN Gasket Kit # 068-198-001 GR for the top and bottom end for your VW 1.6 Diesel Engine and 1.6 Turbo Diesel Application.This kit does include the valve stem seals. This kit does not include the HEAD Gasket ( head gasket available Elring German $29.99). This is the Victor Reinz brand made in GERMANY. This is not a chinese item. 038198151;This set of rings part # 038-198-151 will fit the following VW appllications. It is a complete set ( 4 sets of rings for 4 pistons) they are made by GRANT USA not a chinese copy. This is the best alternative to the German unit which is TWICE the cost. Excellent quality, again this is top notch compared to the Chinese units that are out there. 038198151 GOETZE BRAND GERMAN :This set of rings part # 038-198-151 will fit the following VW appllications. These are sold as singles $29.99 each or you can buy the set of 4 $99.00. This is Goetze Brand NOT CHINESE. These are quality GERMAN MADE RINGS worth investing to do that engine rebuild RIGHT. 028109243 : VW 1900 Turbo Diesel & TDI Tensioner 028-109-243F. Please do not confuse this with the cheap mexican brand alot of the parts houses carry, or a Chinese product. this tensioner is made by SKF. This is a VW 1900 TDI tensioner. Late style, European models the pitchfork style. 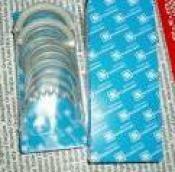 This fits 1Z, AHU, AFN models 028-109-243 INA Brand. 760-241-9504 For any questions you may have. NEW VW 1900 TDI Tensioner part # 038 109 243G for the 1999 to 2004 Vw TDI engine code ALH. Engine was used in Golf, Jetta & New Beetle. Do yourself a favor buy a quality Tensioner NOT CHINESE. Even if you do not buy it for me. Pay the few extra bucks. 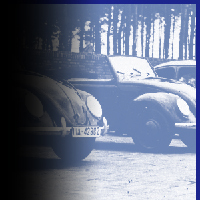 VW 1900 TDI Timing Kit: This is the complete kit. Everything you need to do the job right while you have the engine out. This is the complete kit for your VW 1900 ALH engine. TOP QUALITY GERMAN CONTINENTAL. This kit is $209.00 Include the waterpump which is Hepu German for a little extra $269.00. 028 105 243 T This is a NEW FEBI GERMAN UNIT... Not chinese, not used. NEW GERMAN. I do not have many so get it while you can. Great price. The Vibration Dampner ofte referred to as the Harmonic Balancer Or crankshaft pulley for the VW 1900 TDI. This unit fits up to the 1998 model engines 1Z, AHU, AFN. 1993-1999 Golf, 1993 thru 1999 Jetta, 1992 thru 1997 Passat. Fits the AAZ TD and the 1.9 Natural Aspirated. This is the LOWER 1500 and The early 1600 timing cover it is used. This one in the photo is 75.00. This is the plastic lower cover that fits the upper metal timing cover. If you ring me up I may have others that are not as perfect as the one pictured maybe slightly damaged for anotehr price. But you must call 760-241-9504 tell me you seen this ad. 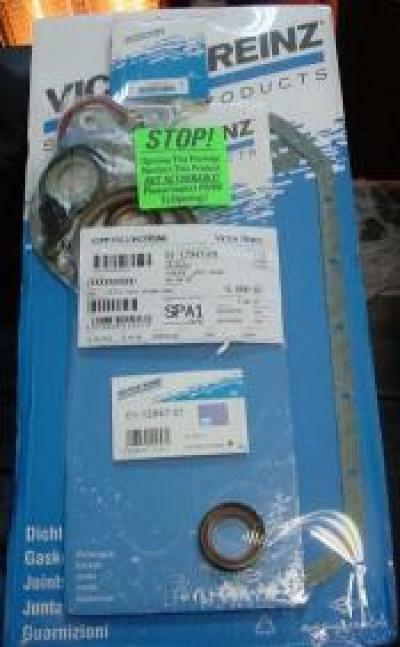 028109119 : VW 1900 Diesel, 1900 Turbo Diesel & 1900 TDI Timing belt up to 1998. Including 1Z & AHU. 028-109-119P It is made by Flennor GERMANY . This belt is considered the quite type. Please do not confuse this with the cheap mexican belt that alot of the parts houses carry, or a Chinese product. This is GERMAN quality, excellent material used in the production of this unit. 068109119 : This is the timing belt, 068-109-119P or 068-109-119E for all 1600 Diesel and Turbo Diesel VW engines. It is made by Flennor ( Germany ) in the UK. This belt is considered the quite type. Please do not confuse this with the cheap mexican belt that alot of the parts houses carry. Fits the 2000 TDI that came in the Passat 2004 & 2005 models with that BRM engine. Do not skimp when it comes to these parts. Chinese is not worth it. 161298115 : Kit includes 2 clamps and 1 gasket Part # 161-298-115.This will fit most 1600 and 1900 turbo Diesel engines that are using the exhaust elbow (part # 191-253-805 ). Parts made in Europe High Quality. Shipping on this item is $7.00 in the lower 48 states USA. We just got some Brand new Fuel Filter Canisters. They are made by Mann & Hummel in GERMANY. The part # is 1KO 127 400K, This is the later style, it was first used in 2005.5 Jetta. I think it is still used in current production cars. This canister is closed at the bottom and has 5 torque screws on top. the brackets look the same as the early ones so you should be able to upgrade from the early style to this one. 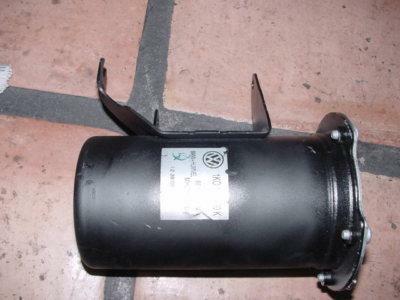 It comes with the fuel filter installed the part number of the filter is 1KO 127 434B. Shipping $15.00 In the lower 48 States Only, ALL other areas additional cost. VW Water pump. This is a VW New Waterpump with the 40 mm Hub. This pump is for the VW 1600 Diesel Natural Aspirated Engine. Up to 1982. VW Rabbit, VW Golf, VW Jetta. THIS IS FROM GERMANY. NOT A KNOCK OFF. We finally had this part made. This is the power steering pump eliminator. 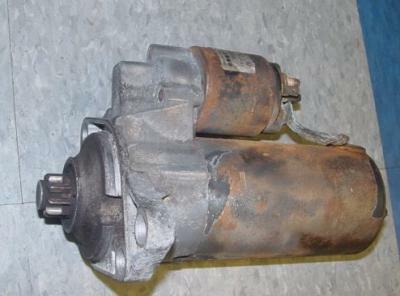 If you have a 1.9 diesel, Turbo Diesel or TDI (1Z, AHU, AFN) w. AC but no power steering you had a problem. The belt that drives the water pump also drove the power steering pump so if did not hook the power steering pump up the pump would freeze due to lack of lubrication. So we had this Nice Billet piece machined out of aluminum installed heavy duty bearings in it and the hub. 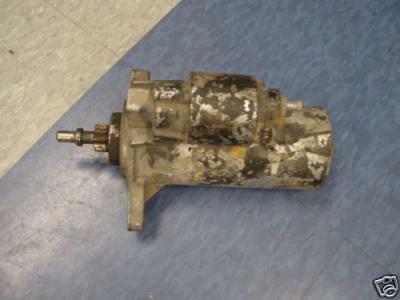 All you have to do is take the pulley off from your steering pump unit and put on this idler and your good to go. Part made in THE USA. 71C: WAHLER THERMOSTAT MADE IN GERMANY. This is a 71C (Degrees) engine coolant thermostat for all VW's 1975-1998 fits gas and diesel This thermostat opens at 71 degrees instead of 80. Better Cooling. This is not a chinese unit. This is a Febi Vanagon oil pump. Fits the Vanagon Diesel and Turbo Diesel models. Call if you have any questions. This is a great price and we recommend you use the good one in your engine, do not take the chance on chinese and save a few bucks. This is a resonable & fair product to insure you are not skimping on a part that is IMPORTANT. This is a new front mount for the 1980-1983 Vanagon. You will need 2 pieces usually. Engine/Motor Mount 171-199-214K Which is the same as the F & G. This is the right side engine mount reinforced. 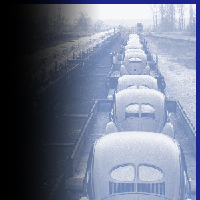 Fits all Tranversal mounted Gas and Diesel engines up to 1984. This mount sits in front of the engine and connects to the Right side frame of the vehicle. Part # 171-199-339 Engine mount/buffer.Fits all Transversal Mounted Gas and Diesel up to 1984, Rabbit, Caddy, Jetta, Scirocco. Fits Automatics. This mount/buffer sits between the engine and the front of the Vhicle under the radiator. Part # 171-199-214H Trans mount is the same as the J. Fits all Transversal mounted Gas and Diesel up to 1984, Rabbit Caddy, Jetta, Scirocco. This top trans mount fits 4 spd, 5spd & Automatics. Attention 250.00 REBATE if you buy a 1.9 TD , TDI or MTDI at the same time. This is a VANAGON conversion kit used to install a 1600 or 1900 TD or TDI (up to 98) into your 1983 and up Vanagon (not for Syncro). The kit includes the Bellhouse, Flywheel, Pick up tube for oilpump, Oil filler tube, Oil pan, Engine Carrier and Engine brackets. Now all you need is a Diesel Engine and we can help with that as well .I sell both the 1600cc and 1900cc complete engines, Diesel, Turbo Diesel and TDI. (File photo used) Shipping on this item approx 150.00 to 200.00 to a commercial address with loading dock or forklift. Rebuilt Bosch Starter for the Vanagon Diesel, Turbo Diesel & TDI with the VW Vanagon Diesel Flywheel. If your doing a conversion etc. Call me we can discuss further. This is a good used starters taken out of a running low mileage vehicles. Will fit the Early TDI 1Z-AHU style 1900 TDI's, 1998 and earlier Jetta and Golf. This item is warrantied for 30 days. File Photo. Shipping $15.00 in the Continental 48 states ONLY. 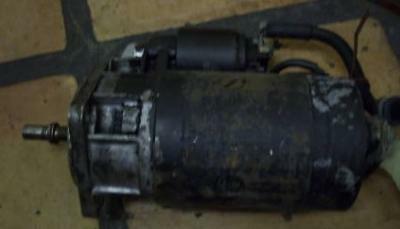 This is a good used starter for an ALH VW 1900 TDI engine Manual/Stickshift. This is a Victor Reinz Crank Seal w. The Flange for ALL MK4 Gas and Diesel Engines. If you are installing a longblock used or rebuilt please do yourself a favor change this part. USE GOOD QUALITY, NOT THE CHINESE ONE. Unless you want to do the job again. This is a complete clutch kit for your Vw 1600 Diesel or Vw 1600 Turbo Diesel application. Jetta, Rabbit, Golf. Excellent Quality Sachs Fits 190 or 200 mm applications. 760-241-9504 any questions or in need of other parts not listed here. This is a Heavy duty clutch kit. Not a chinese kit. This engine came in the 1993-1997 Golf Jetta Passat. The engine is also used for conversions. If you are involved in a conversion please make sure to let us know so we can make sure you purchase the correct unit for your application. THE REAL DEAL; Raised the price again. We to will soon be out and you will not find this item any longer. I am sure you have been looking. This is a Brand New Original Sachs Complete Heavy Duty Clutch Kit. This will work with your 1600 diesel, 1600 Turbo Diesel, 1900 Turbo Diesel or 1900 TDI for your Vanagon. This is the Original European Make Not the Brazilian Copy. 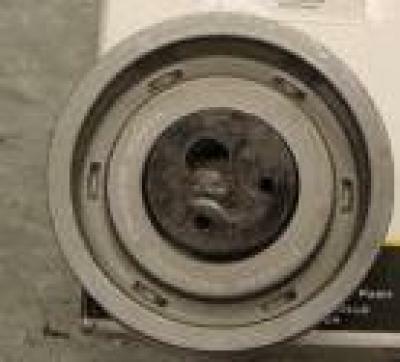 This Kit does includes the Pressure Plate, Disc, Throw out bearing. We are closed on Sunday and Monday and do not respond to inquiries on those days. GREAT ITEM SO PLACE YOUR ORDER DIRECT 760-241-9504 while supplies last. These are becoming harder to find even for me who has purchased parts in the industry for 30 years. VW Clutch Kit: VW 2.5 Gas & VW TDI engines. 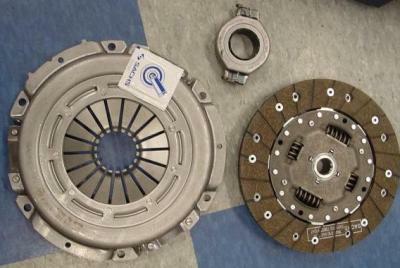 This is an original VW clutch kit made by LUK. Top Quality in a VW Parts Box. Original part number is 03G141016NX, the X indicates a rebuilt clutch but this looks like a new kit. 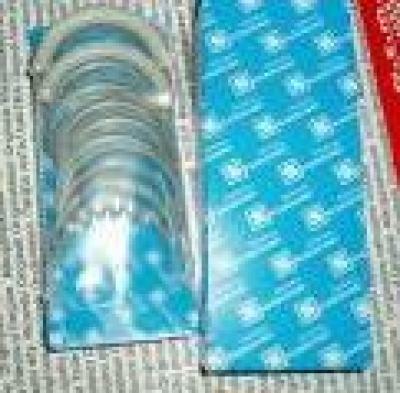 The kit consists of Disc and Pressure Plate. The part number supersedes to 03G141016PX. According to our local VW dealer this clutch kit fits the 2005 and Later Model Golf, Jetta and New Beetle with the 2.5 Liter Gas engine. Also fits the Jetta 2005, 2006 with the BRM 1.9 TDI engine. Again this is not some Chinese knock of b the REAL DEAL. 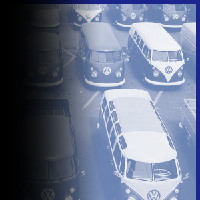 TOP QUALITY for the VW you love so much. This is the ELRING valve cover gasket. NOT A CHINESE CHEAP UNIT. 056-198-025A. This will fit the VW 1600 Diesel and 1600 Turbo Diesel as well as the 1800 gas. NOT CHINESE, Hopefully you are searching out quality parts not CHEAP parts. Remember the two usually do not come hand and hand. You get what you pay for. Does not include the Head gasket. This is a new oil pan gasket for VW 1600 gas, diesel or turbo diesel models. This is a top quality item. Victor Reinz also available please ask. This is a Kolbenschmidt made new piston with rings and wrist pin. (One piston only) The piston is 0.020 ( 0.50 mm ) over. That is 76.98 mm. Some call it 77.0 mm. This is the turbo piston with the cut out in the skirt for the oil squirters. The part numer is 068107081 BD. This piston will also work in a natural aspirated Diesel engine. The piston is stronger than the non turbo version. The original part number for that piston would be 068107081 BB.Why buy a Chinese piston for a German engine when you can get an OEM part ? We do not respond or ship on Sunday or Monday. Please take note, WE DO NOT ACCEPT PAY PAL. When you purchase this item you will call 760-241-9504 and pay direct for your item. Shipping on one piston $15.00 in the lower 48 states only. This is a Kolbenschmidt made new piston with rings and wrist pin. (One piston only) The piston is 0.040 ( 1 mm ) over. That is 77.48 mm. Some call it 77.50 mm. This is the turbo piston with the cut out in the skirt for the oil squirters. The part numer is 068107091 BD. This piston will also work in a natural aspirated Diesel engine. The piston is stronger than the non turbo version. The original part number for that piston would be 068107091 BB.Why buy a Chinese piston for a German engine when you can get an OEM part ? We do not respond or ship on Sunday or Monday. Questions ring us 760-241-9504. This is a set of 4 Kolbenschmidt made new pistons with rings and wrist pin. The part numer is 028-107-065CC .The piston is 0.020 ( 0.50 mm ) over. That is 79.98mm. Some call it 80.0 mm. The 0.040 (1mm/2nd oversize) is also available at the same price (Part # 028-107-091H). These are turbo pistons with the cut out in the skirt for the oil squirters. . These pistons will also work in a natural aspirated Diesel engine. These pistons are stronger than the non turbo version. Why buy a Chinese piston for a German engine when you can get an OEM part ? Shipping approximately $50.00 and up in the lower 48 states. VW DIESEL HEAD: This is a rebuilt Orginal VW 1600 Natural Aspirated Diesel Head w. Solid Lifters. $450.00 Outright.. This head takes the 12.5 mm head bolts they were used from (some later 1981) 1982-1984. The head comes complete with valve and cam. The head got a valve job, pressure tested and resurfaced. This is HARD TO FIND FITS ONLY 1981 DIESEL WITH 11MM HEAD BOLTS. the head is cleaned, pressure tested, valve job and resurfaced. The work was done by Motorenschmiede Knoblich Germany. Shipping $50.00 and up in the lower 48 states. Complete Rebuilt VW 1600 Turbo Diesel head. SOLID LIFTERS. Valve job, valve guides, resurfaced. Shipping $50.00 and up in the lower 48 states only. This is a NEW 1900 TDI complete Head. ALH engine code came in 1999- 2004 Jetta, Golf, New Beetle. New valves, New Camshaft. This Head is made in Spain AMC. If you have looked at other heads if it does not say where it is made then it is CHINA, beware. Think about your labor doing it time and time again. THIS IS A TOP QUALITY HEAD New AMC. You will need 10 of these for either your 1600 or 1900 head application (including the ALH). These are top quality Victor Reinz for 3.00 each. I do have economy brand they are 2.00 each. However for a dollar difference you should go for the good ones while they are available. New Rod Bolt for all 1.9 Diesel Engines including the 1.9 ALH. MADE IN USA; EXCELLENT QUALITY. This is a set of Rod Bearings Standard Kolbenschmiedt. They fit All 1900 Turbo Diesel and TDI engines up to 2004. Engines Codes AAZ, 1Z, AHU, AFN, ALH,ASV, AHF. Will not work on PD engines. This is a set of Rod Bearings .10 under (.25mm) Kolbenschmiedt. They fit All 1900 Turbo Diesel and TDI engines up to 2004. Engines Codes AAZ, 1Z, AHU, AFN, ALH,ASV, AHF. Will not work on PD engines. This is a set of Rod Bearings .20 Under (.50 mm) Kolbenschmiedt. They fit All 1900 Turbo Diesel and TDI engines up to 2004. Engines Codes AAZ, 1Z, AHU, AFN, ALH,ASV, AHF. Will not work on PD engines. 056-198-451A and others in stock. VW Main Bearings .10 under. VW 1600 Turbo Main bearings. This is a set of Main bearings for all 1600 gas and 1800 gas VW engines. Also fits the 1600 Diesel and VW 1600 turbo diesel engines. .20 Under (.50 mm) Kolbenschmeidt. The good stuff NOT CHINESE. I have standard and 20 new Kolbenschmidt Main Bearings. Please call in advance for availability, if you will be picking them up please call before so we can get them ready. Thank you. Set of 4 NOT SOLD INDIVIDUALLY. This is a set of 4 Indirect injected glow plugs for VW diesel and Turbo Diesel 1500, 1600 and 1900 engines. NOT TDI. This is a very quality set of 8 bushings made in Mexico. Take the play out of your shift linkage. For 4 & 5 speed. Fits Jetta up to 1984, All Rabbits up to 1984, Rabbit convertible up to 1984, RAbbit pick up up to 1983, Scirocco up to 1988, Golf Convertible up to 1993. This is a new Elring HEAVY DUTY oil Pan Gasket for ALL VANAGON DIESELS. This is not a cheesey aftermarket part, this is worth the money. 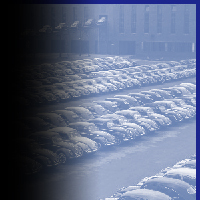 Fits Vanagon Diesel, turbo diesel, TDI units. It is thicker then the regular replacement gasket that comes in the kit. This is a new High quality NEW Oil Pan for your 4 Cylinder 1999 thru 2005 Model Jetta, New Beetle, Or Golf. This is for the Gas and TDI engines. This unit does NOT have the lever sensor. This unit is Made in Mexico. This is NOT chinese unit. We have used this unit in our reconditioned engines. 760-241-9504 to place your order. VW Cabrio thru 1995: VW Cabriolet 1985-1993: VW Dasher 1974-1981: VW Fox 1987-1993: VW Golf 1985- 1992: VW Jetta 1980-1992: VW Rabbit 1975-1984: Rabbit Convertible 1980-1984: RABBIT PICK UP 1980-1983: VW Scirocco 1975-1988. 97-98 Golf, 97-98 Golf. This engine has been used. Any questions please call. Please call to make sure the item in in stock also. Prices subject to change. Thank you.760-241-9504 to place your order. This is the AC Condensor Engine Cooling Fan Switch: 75-70C 2 point. MADE BY WAHLER A quality product not chinese. Great price $5.00 while supplies last. This is a new aftermarket dipstick tube. New German one is not available. This dipstick tube fits All 1900 Diesels up to the 1Z TDI. Call for more info. 760-241-9504 Order while supplies last.